More than 14,000 people apply for Blizzard’s summer internship program. They hire around 100 interns. That’s a 0.71% acceptance rate. How do we know this information? Because we tweeted at their careers account. Twitter is an invaluable game dev job search tool. For example, Professor Clark’s nephew got his last three jobs at AAA studios from Twitter! In such a competitive industry, job seekers need to employ multiple tools and job search strategies to succeed. 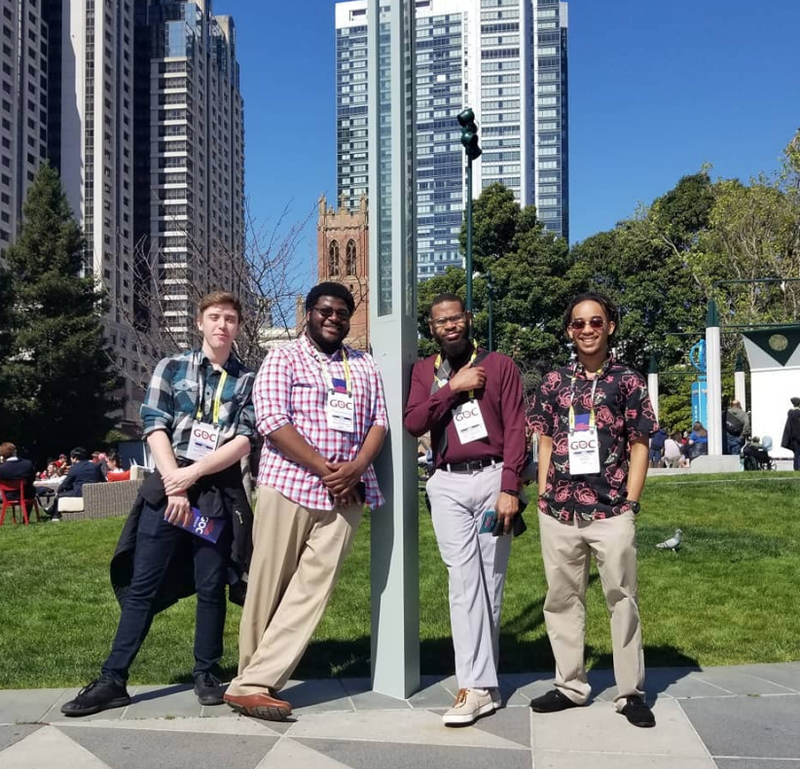 UAT Students take on GDC 2019. Another excellent resource for job-seeking game developers is the Game Developers Conference (GDC) and other conferences. 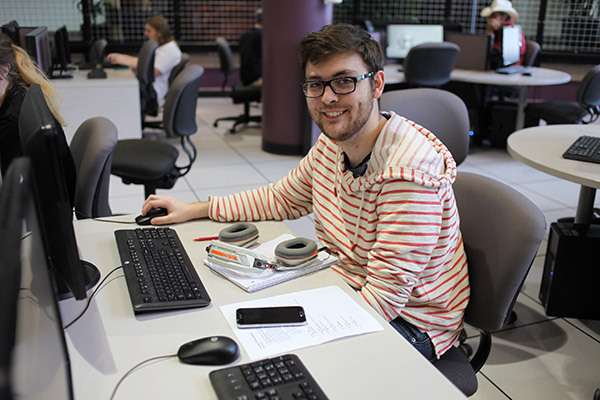 “Do some research before you go to the conference,” UAT Game Development Professor Adam Moore said. Find out what positions each company is hiring for and what type of games they are working on. Don’t walk up to booths and ask questions that you can find the answers to online. “You don’t want to ask them what they’re looking for; you should already know. Talk about the skills that you have and the projects that you’ve worked on that show that you’re a good fit for their company,” Adam said. Watch How to Crush It at GDC on our Facebook. UAT Game Programming Professor Mark Feldman is also a big proponent of IRL (in real life) events and conferences. Mark got his last job at Qualcomm by connecting with a tech recruiter at Siggraph, an annual computer graphics conference. He also attended Casual Connect Europe last summer. He traveled all the way across the pond to connect with Arizona-based TBN Studios Founder Jake Simpson, who presented on how they worked with Unity VR to create tools for Ready Player One. The International Game Developers Association has a lot of helpful resources with 150 chapters worldwide. The Phoenix IGDA chapter is very active IRL and on Discord. They get together once a month to network and playtest. 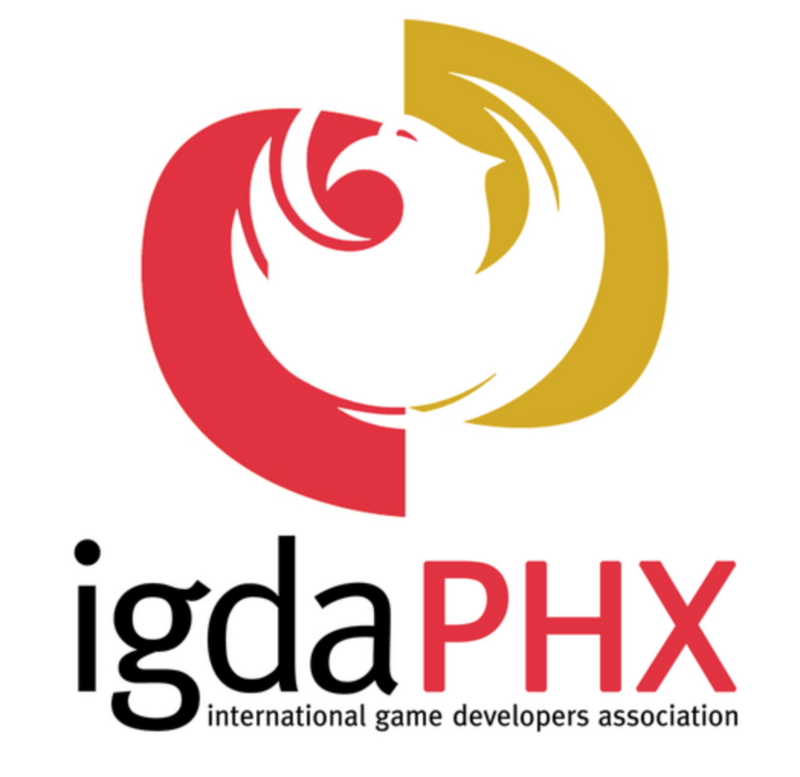 For more info on IGDA, reach out to Adam. While a lot of truth exists in the saying, “It’s not what you know, but who you know,” you still need a lot of talent, drive and dedication to make it in the gaming industry. A polished portfolio is the most important piece of the game dev job search pie. “My biggest mistake was not having a good enough art portfolio at graduation,” admitted Blake Bjerke, a University of Advancing Technology alumnus and environment artist at Cyan, Inc, the makers of Myst. It took Blake awhile to find his artist niche in environment art. “It’s important to find your focus and really start to practice and work it up into a great portfolio before you graduate," Blake said. Some of Blake's work on the world Maray for the project Obduction. If you do 2D mobile art, then own it. 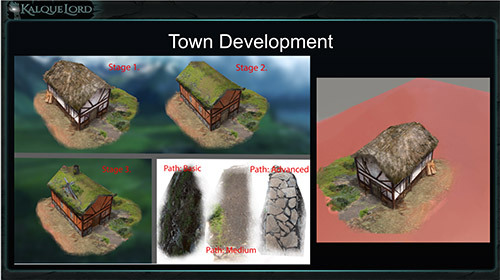 If you want to be a character artist, then do not clutter your portfolio with level design or environment art pieces. Professor Feldman also recommends matching the game genres and styles in your portfolio to the style of the studio where you are applying. Just like you tailor your resume for specific roles, you can tailor your portfolio for specific studios. Most hiring managers want to see at least four or five game-ready assets in a junior game developer’s portfolio. Include side projects to showcase your passion and commitment to your craft. Make sure you also explain how you did what you did. Help hiring managers understand your creative process and design thinking skills. If you want to be a game developer, then you should make video games. “It’s one thing to create a piece of art or a level in a vacuum, but it’s something else entirely to actually develop it for a game,” Blake said. That’s why he encourages students at all levels to constantly contribute to projects.” Projects teach you about the constraints you’ll face, performance concerns, production pipelines, how art affects level design and more,” Blake said. Not all game dev career paths are linear. “Being flexible is important,” Blake said. For example, UAT alumna Holly Sheppard started her career as a 3D artist making simulations and models at the Los Alamos National Laboratory. After working at an Arizona-based indie studio for a few years, she accepted at job at Scientific Games, where she works on slot machine games. UAT alumnus Garrett Reuscher works as an educational application developer at Western University of Health Sciences, where he uses his skills in augmented reality and virtual reality to make training apps for medical students. 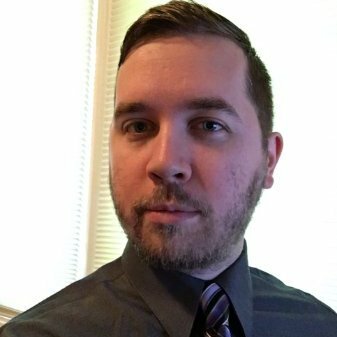 UAT alumnus Charles Cozart started his career as a quality analyst at E-Line Media, where he moved into a gameplay engineer role after seven months! And UAT Game Art & Animation student Shelby Epley just accepted a job as a marketing assistant at the super cool Arizona startup SURF in the entertainment and advertising space. Game developers have tons of transferable skills in UX design, technical project management, graphic design, animation and more! Are you up for the game dev career challenge? Check out our Game Programming bachelor's degree today! After spending a year working in the Laboratory, perfecting her portfolio and applying to jobs across the country, she returned to Arizona to work as an environment artist at Rainbow Studios (formerly THQ), where she worked on a variety of games for Xbox 360, PS3 and Wii. When the studio closed, she didn’t want to leave the people and patios in Arizona, so she spent some time taking on small freelance gigs and pursuing her other passion: classical singing. She still sings with the Grammy-award-winning Phoenix Chorale, the Phoenix Opera and the Arizona Opera Chorus! Just when Holly resolved to start applying for out-of-state game art jobs, she got a call from a slot machine company in Scottsdale. She didn’t know anything about slot machines but was excited by the chance to stay in Arizona and take on a new professional challenge. “I was also excited to find out that the development is very similar to the game development I was used to,” she said. And she gets to work on a lot of cool projects such as Kooza and Amaluna, two Cirque Du Soleil slot machine games. She even got to meet Billy Gibbons when she worked on a ZZ-Top slot machine. 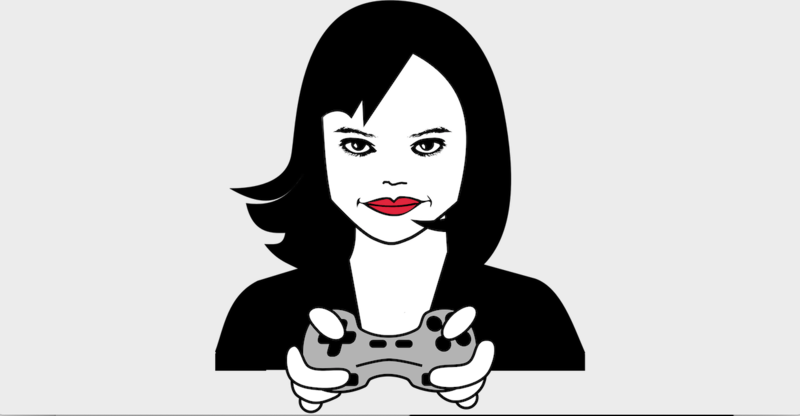 Holly’s current role at Scientific Games is "somewhere in between technical artist and graphic artist." She spends a lot of her time in After Effects and Photoshop doing motion graphic work. She also dabbles in 3D modeling, animation, concept work and graphic design. She collaborates with the Unity engineers on a daily basis to make sure all of the artwork gets implemented and functions properly. Like many game developers, Holly had a tough time with her job search. “But I felt like I had a leg up when sending applications to studios because of my experience at UAT,” she said. During her time at UAT, Holly learned how fast tech moves. “New techniques and tools come out regularly, so being able to adapt quickly is important. But the fundamentals of art, color theory and composition stay the same.” she said. Her time at UAT taught her the value of both. 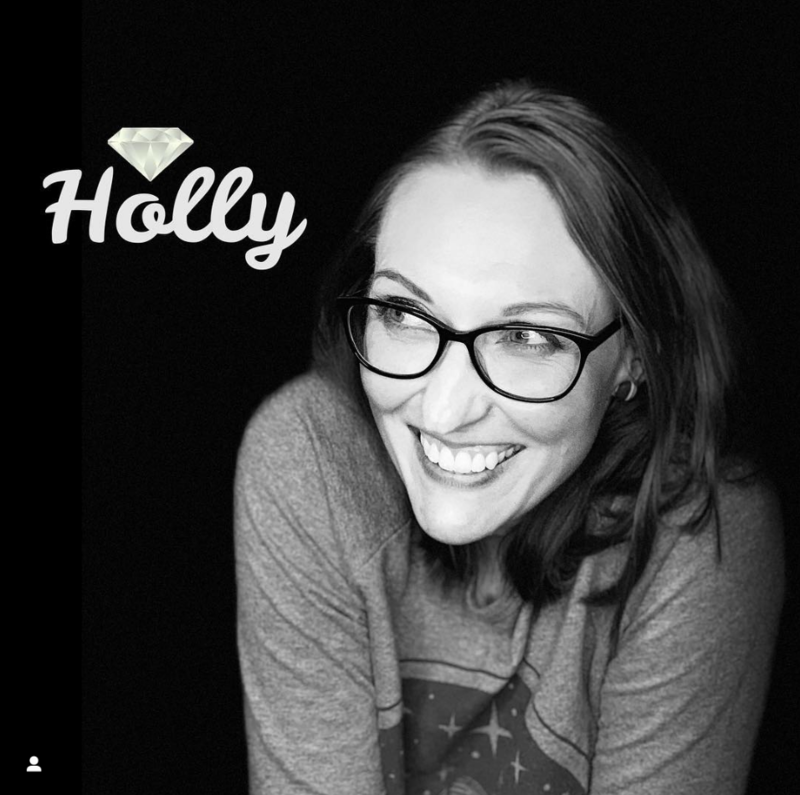 Holly capitalized on every opportunity to learn and improve while she was a UAT student, attending tech forums with industry professionals, completing internships, working on projects and participating in portfolio reviews. “You can build up a lot of experience that will help you get your foot in the door, but try to go beyond the basic requirements of classwork,” she said. “And always check to see how your portfolio looks on other computers!” she added. Want to become an environment artist like Holly? 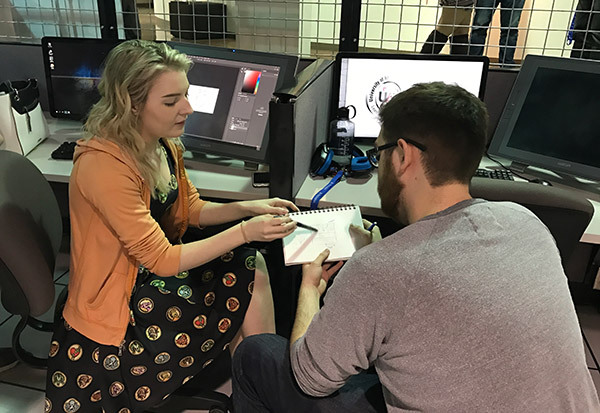 Check out our Game Art & Animation degree program today! Lynn (center) and other UAT faculty. Art by UAT alumna Ashley Casarrubias. Lynn worked on several other franchise titles and a few original IP titles for extreme games during her tenure at Sony. “During this time, Holliday was a consistent presence and leader in innovation,” Lynn said. Holliday’s support and mentorship helped Lynn climb the ranks to become a key innovator in Sony’s pipelines and processes too. Then, with Sony’s support, Holliday launched RedZone Games, but Lynn and Holliday remained friends. After 7 years at Sony, Lynn moved back to Phoenix to join Arizona’s leading indie dev studio Rainbow Studios (formerly THQ), where she did a little bit of everything. She worked on exciting titles such as Untamed and Reflex and used her skills in animation, modeling, rigging, concept art, pipeline optimization, tools integration and project management. Lynn never forgot Holliday’s role in her professional and career development, which inspired her to start teaching. “Now we both enjoy opportunities to give back to the community through instruction and mentoring,” she said. 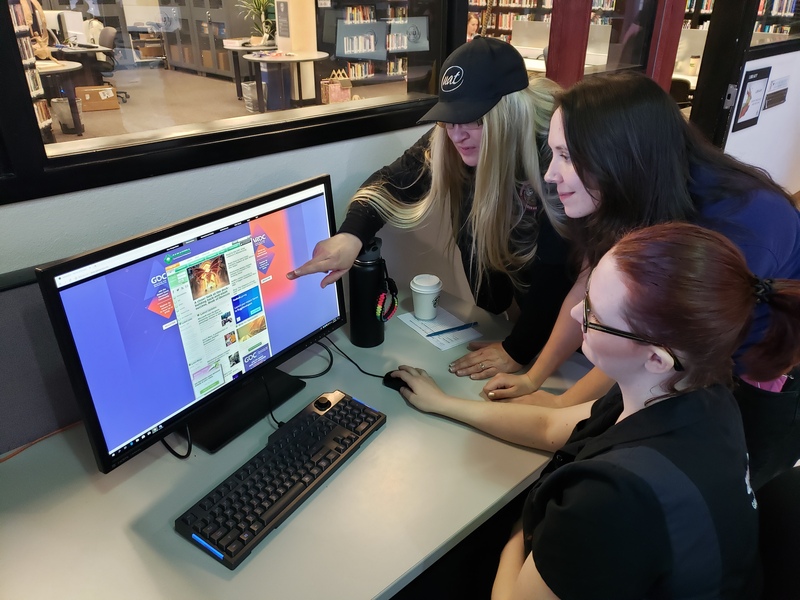 The 2018 viral article about the toxic culture of sexism at Riot Games sparked candid conversations online and on campus at UAT. Throughout Lynn’s 40-year career, she has heard many stories of injustice. She believes the key to professional success is how one responds to these circumstances. Lynn recommends “having a voice for positive change and ethics when needed, speaking to the circumstances with integrity and positive influence in a professional manner,” she said. Lynn recognizes that speaking up doesn’t always lead to change. “If you speak up and are not satisfied with the outcome, then you can always look at other options,” she said. Lynn encourages female developers to embrace the power of being a woman in a male-dominated industry. “Do not lose who you are in the chaos of competing. Know that each woman has a unique perspective,” she said. Femininity is only part of the equitation, but Lynn views it as an underestimated advantage because a lot of people in the industry do not understand it fully. “The best career advice I can give female developers is to just be you and enjoy your journey,” she said. Want to learn how to make video games with Lynn? Check out our Game Art & Animation degree program today! The theme for the 2018 Global Game Jam was “Transmission,” sparking lots of ideas of how to create a game around this. From UAT’s Game Jam location, 29 games were submitted to the website with 17 playable games on display for judging on Sunday evening in the UAT Commons. “We saw completed games developed for PC, 2D, 3D, mobile, and VR including Oculus Rift and the HTC Vive. The variety was inspiring and great to see,” said judge and Program Champion Derric Clark. You can check out the submitted games here. “From a content standpoint, this was one of the best Arizona Game Jams thus far, amazing work completed and shown to judges,” Clark said. A lot of different perspectives were taken on the theme, it was great to see the creativity kick in to produce a diverse set of games, both in content and play style. The theme for the 2018 Global Game Jam was "Transmission," sparking lots of ideas of how to create a game around this. From UAT's Game Jam location, 29 games were submitted to the website with 17 playable games on display for judging on Sunday evening in the UAT Commons. "We saw completed games developed for PC, 2D, 3D, mobile, and VR including Oculus Rift and the HTC Vive. The variety was inspiring and great to see," said judge and Program Champion Derric Clark. Professor Clark said, "An amazing amount of content was produced in just 48 hours, seeing months of work completed over a weekend is extremely impressive. These were really great submissions, with many, many completed games. It was difficult to narrow the field down for the awards." "From a content standpoint, this was one of the best Arizona Game Jams thus far, amazing work completed and shown to judges," Clark said. 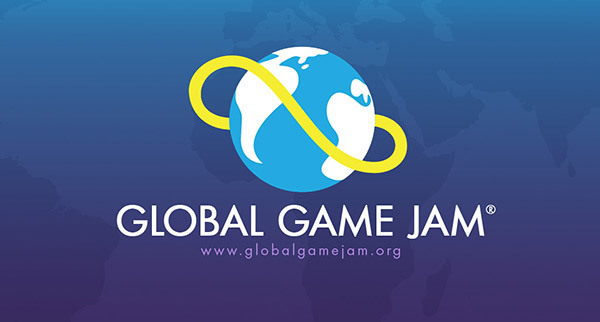 The Global Game Jam (GGJ) is the world's largest game jam event taking place around the world at physical locations. Join the Phoenix Global Game Jam for 48-hours of game development at UAT's tech-infused campus. Need a team? Don't stress. There will be dev teams in need of designers, programmers and artists! Join in the fun and excitement of the Phoenix Global Game Jam, kicking off Friday, Jan. 26 at 5 p.m. running until time is called on Sunday, Jan. 28, at 5:30 p.m.
Register on Eventbrite and take a look at UAT's Global Game Jam page. Use hashtag #GGJ18 to join in the worldwide conversation about the event! As a Game Art and Animation major, this kind of knowledge is key in the world of video games. 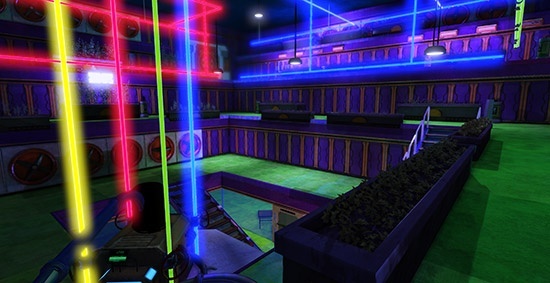 In every game created, there are a multitude of people working on the environment and the characters in which you see in order to make it an interactive environment. Even something as simple as what I created took hours of time and practice and mistakes before I felt like it was something to feel proud of. It’s not a small feat, and that’s something that we all forget as we enjoy playing our favorite video game. The amount of time and effort that the animators and artists put into that game should not be forgotten because without them, there would be no visual game to see. We cannot forget the roots of animation. Without the basic drawings and understanding of anatomy, we would never have reached the heights we are today in animation. The basics are important, and even when using software such as 3DS Max, you have to understand the concept of what shapes are, and how you can manipulate them into something more, in order to create the beautiful scenes we see today. If you’re interested in reading from a professional animator, I am a fan of animator Scott T. Peterson, as he talks about his life as an animator, and his story of coming into the animating world. I find this one useful and motivational, because it brings together the two worlds of animating, and he relates to people who cannot afford an education in Game Art and Animation, but don’t want to let go of their dreams. It makes me proud to know that we all work together and admire our work. We realize the time and effort it takes, and we can still sit back, relax, and immerse ourselves into the games. In the end, that’s what every animator wants. For people to enjoy the games and the art they put into it. To follow in Olivia's footsteps, take a look at the Game Art & Animation degree offered at UAT. On October 10, Professor Hue Henry will be speaking to students at Western Maricopa Education Center (West- MEC) about game programming and getting them excited about possible careers as game programmers. Some of the topics Professor Henry will discuss include how the tools and techniques used in a traditional, web-programming environment are also useful for those interested in pursuing a career in Video Games. Professor Henry said, "It is always exciting to get the chance to speak with the next generation of developers and innovators and help them to understand the unique opportunities that game programming can provide." 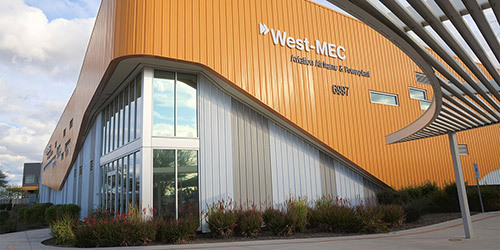 West-MEC is a JTED, Joint Technical Education District that services 13 West Valley school districts, 46 high schools. It is CTE, Career Technical Education. This is their third year after having initiated a Coding Program. The program is 2 years, four semesters, with 250 clock hours per semester. It is very immersive, and is focused on Web. Last year West-MEC placed 20% of their graduates immediately in Web programming, the rest went on to college. Many have expressed an interest in going on to Computer Science, wanting to specialize in Web or otherwise. Very much including the possibility of Game Programming App Programming, and Enterprise Programming. The 2017 Founder's Game Jam took place at UAT the weekend of Sept. 22- 24 spreading a spark of game development inspiration around campus. This year's theme was plants. Students had 48-hours, beginning on Friday afternoon, and ending on Sunday evening, to break into teams, come up with an idea, assign jobs and get to work. Because the fall semester had just began, it was exciting to see many new faces creating games together in the commons over the weekend. "I was pleasantly surprised by the large number of first time game jammers and first semester students that decided to give their first game jam a shot. 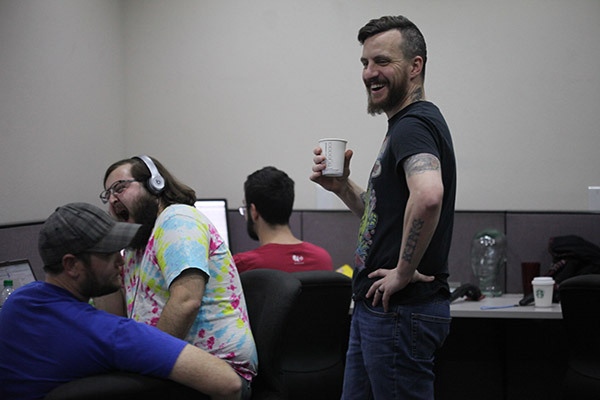 Many of the veteran game jammers partnered with the newer students and mentored them," said Adam Moore, UAT Game Design alumni and IGDA Phoenix advocate for UAT. There were 9 games created including Duke of Daisy, Up Rooted, Heart of Shambala, Farn, Bovine Savior, Vegano vs. Nature, Plot Twist and Boogie Beetle and the Bionic Tree. You can view the current submissions here. 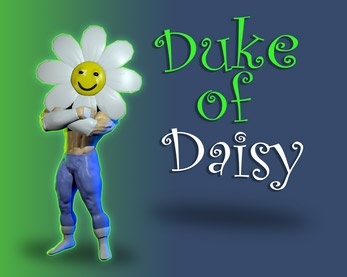 · Duke of Daisy – won best game overall. Congratulations to all the winners and good work to all game jam participants! It's wonderful when alumni return to UAT with good news! Evan Tappero who graduated last year with a degree in Game Design, gave us the scoop on the cool new place that he's working! Q: What is your current position and at which company? A: My current position is assistant content manager at Crowdstar, which was recently acquired by Glu Mobile. Q: What does an assistant content manager actually do? A: The position is on Crowdstar's Design Home team, so I deal with the curation of game content for the mobile game "Design Home". I am responsible for the categorization of incoming game content, as well as updated existing content, documenting new products that can be implemented into the game, as well as sending/tracking batches of new content to our art vendors to be made into 3d models. Q: Is your career in the industry from the major? A: My major was Game Design. This is the first position I have held that applies directly to my degree. Majoring in Game Design was a huge bonus that prepared me for the game industry. I was accustomed to working on teams at UAT and with those skills I was able to speak on a variety of different key points in game development and impress potential employers. Due to my background and degree, Crowdstar offered me a better position than I had originally applied for, allowing me to bypass their temp to hire and move directly into a full time staff member. Q: How did your major prepare you for an industry career? How did you get the job? A: Although I know multiple different people within my area (San Francisco Bay Area, CA) that work in the gaming industry, I was not able to successfully acquire a job through connections with them. My application to Crowdstar was a shot in the dark, I didn't know anyone or have any connections there, so I was very surprised when I was contacting by their recruiter and started the interview process. I received positive feedback from my phone interview and my in-person interview, so much so that Crowdstar offered me a position the following day after the face-to-face meeting. Overall it was a quick process, I meshed well with each interviewer, and I am very happy to be a part of the Design Home team with Crowdstar. Q: What are your tips for students who want to break into the industry? A: For students looking to make their start in the industry, I would say to never give up. Finding work can take time, some of you may find jobs immediately while for others it may take years. Apply to anything and everything that you may be even remotely qualify for, even if it isn't exactly your dream job. Employer's in today's market are looking for work experience and landing that first job in your field will be a huge step in the right direction. Q: What do you miss about UAT? A: My time at UAT was enjoyable, however, I never cared for the traditional classroom environments, but the structure of UAT's online program allowed me to flourish. I do miss some of the more involved classes where I was able to do creative level design in Unity or coming up with design concepts in a creative writing class. To see more about the company Evan works for, visit Crowdstar's website. Check out their two current games: Covet Fashion and Design Home. 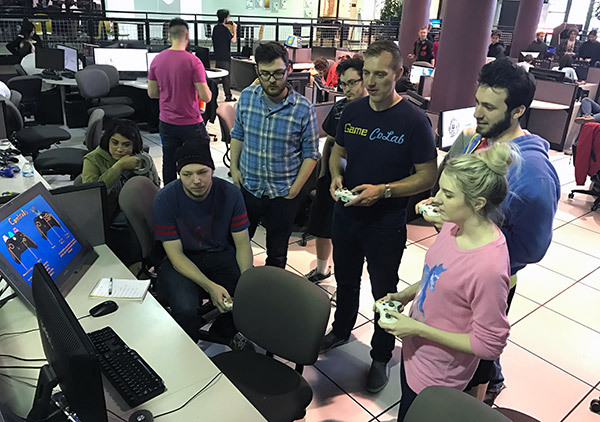 The summer semester is winding down, but many UAT Game Studios development teams are still hard at work trying to complete as much work on their games as possible before the Greenlight Celebration at the Game On Expo. 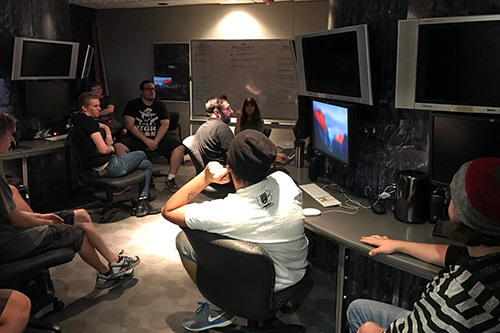 Each semester, student game developers pitch a game concept to UAT Game Studios Professors hoping to be greenlit into production for the semester. At the end of the term, each team lead presents their game build, hands out team awards and demos the game for the public. During this summer session, six games were created and developed over 15 weeks. The games made over summer semester are: Reign & Rebellion (3rd person, multiplayer, action game with a pair of industry veterans as the product owners), Operation: Red Rhino (1st person, multiplayer shooter that focuses on a node-based map selection system), Call Center Simulator (a VR shooter that has paired with alumni-founded Monster Vault Entertainment), Morpheus (a 3rd-person puzzle/ adventure game), World of Martz (a 3rd-person multiplayer fighting game built in Unreal), and KalqueLord. KalqueLord is a game that was developed for an external client, which serves an impressive example for their resumes. "KalqueLord is an engine that turns students, teachers and parents into heroes." According to team lead Donald Schepis, KalqueLord is an edu-tainment application designed to empower students to engage with learning content at their own pace and give teachers the tools to easily personalize instruction. By taking the feedback loop found in role-playing games and merging it with a math curriculum, KalqueLord gives students a visualization for the progress they make and put the drive to excel in their hands. Students earn points to purchase items and equipment to power up their characters, allowing them to face greater challenges and push themselves beyond their limits. With a ground-level teacher integration, almost every element of KaluqueLord can be easily customized for a student by an instructor, from the amount and type of content assigned to students, the focus of their day-to-day practice, to even the rewards they earn for both individual and group progress. KalqueLord will provide students with the opportunity to exceed the normal pace of a classroom while allowing teachers to provide the individualized support every child needs. To get valuable feedback, the developers have invited a group of children from the Sunshine Acres Children's Home to UAT on Aug. 11, to playtest UAT Game Studios games. This is the fourth time this group of kids have acted as official playtesters. They enjoy the ability to try out new games and ask questions or provide feedback directly to the developers. Check out more information on the client's game KalqueLord on their website. After a long journey, UAT Game Design alumni Godric Johnson is excited to announce that a game demo that he's been working on for some time called Cyberpunk Casanova is available for download! Cyberpunk Casanova is a dystopian visual novel that incorporates the goal of creating a visual novel with a western approach. To achieve this and maintain balance with what fans like about the genre, the team decided to contrast the "grimdark" setting with bright and vibrant artwork. The game devs also made a decision to raise the danger level. Choices you make in game will not only influence how a person feels about you, but can also shape future “life or death” scenarios and major events for both you and the NPCs. 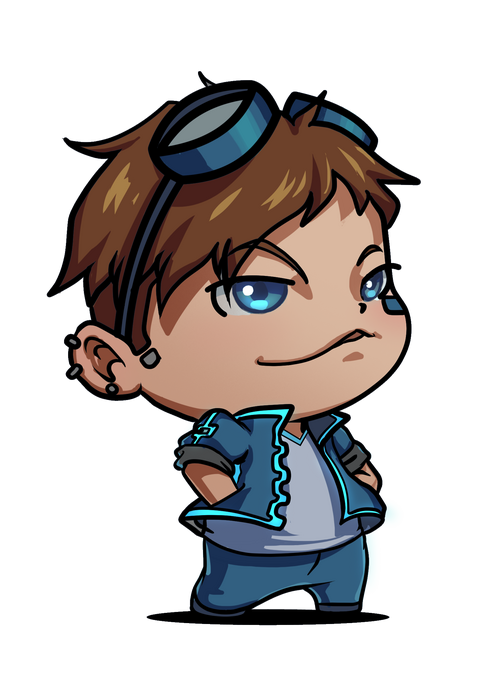 Download the Cyberpunk Casanova demo on Jetstreame and get your game on! Godric Johnson has worked as the Producer and Creative Director for Jetstreame for the last four years. Prior to this experience, Godric worked his way through the industry by teaching game design, working as a graphic designer, artist/animator and game designer for various companies. Congrats on your game demo release, Godric! We are very excited to see what's next for Jetstreame. 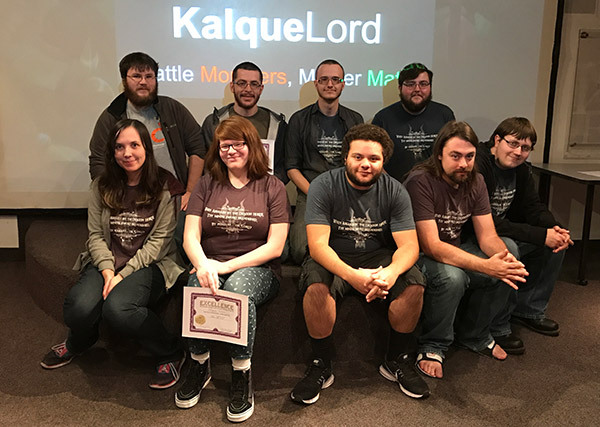 Congratulations to UAT Game Studios development team who took first place in the Phoenix Global Game Jam held at UAT on January 20-22. A week from now, the devs will leave for GDC Play in San Fransisco, California to show off their new game, "Whiskered Away," as the Game Jam's grand prize sponsored by Clique API. 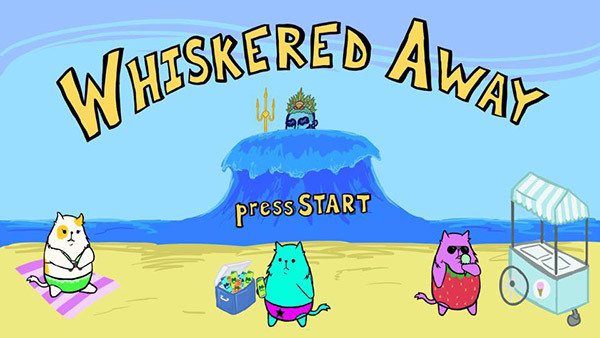 "Whiskered Away" takes place on a beach with cute, colorful cats who are collecting shiny coins that belong to Poseidon. The cats must avoid Poseidon's wrath as he throws waves at the cats trying to pull them out to sea. If the cats are successful in collecting coins, Poseidon will be teased by some bratty laughing dolphins. Game designer Kenny Ryan said, "The game jam was a great experience for all of us collaborating with each of our different disciplines. Some of us had worked together before, but never this close and it was such a blast! We are extremely excited that the whole team will be attending and we plan to make the most of our GDC trip." Watch the trailer for Whiskered Away! Thanks to Sustainability, Energy and Green Technologies Professor Jill Brumand, UAT will host two screenings on conflict minerals called When Elephants Fight on Tuesday, February 14, at 9:30 a.m,. and 1:30 p.m., in the UAT Theater as part of the Environmental Perspectives class. This special engagement is open to everyone at the University and interested members of the community. Professor Brumand encourages staff, faculty, and students to attend. 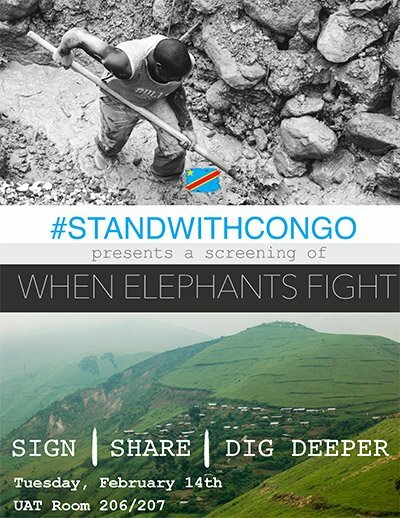 "When Elephants Fight provides insight into the human element of conflict minerals and the impact of technologies we use everyday on the environment. As present and future technologists, we work to build and grow society's capabilities, but it's also important to understand that each decision and resource we use has implications along some part of the process. Through this screening and follow-up discussion with the campaign manager of the film, we hope to facilitate an open dialogue on where science meets ethics and society in the technology space," said Professor Brumand. There will be a discussion with the documentary maker on Thursday, February 16, as well to address questions, comments and concerns about this worldwide problem. 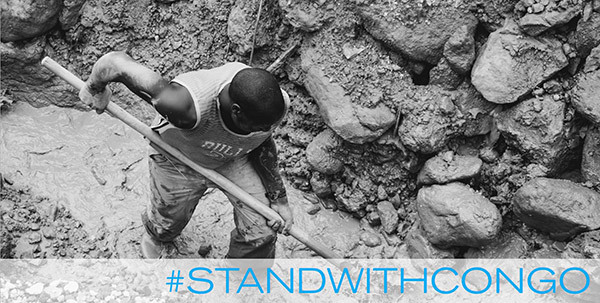 The topic of conflict minerals relates to a project that a UAT Game Studios development team worked on in 2016, pitched by Socent Studios called The Deadliest War: A World Game for Peace. The mission of this game is to create interactive art to tell the story, empower the gaming community, and solve real world problems. As technophiles working at an elite technology college, it's important to learn about the brutal cost others pay for the minerals used to make devices we all use daily. Learn more about The Deadliest War: A World Game for Peace. 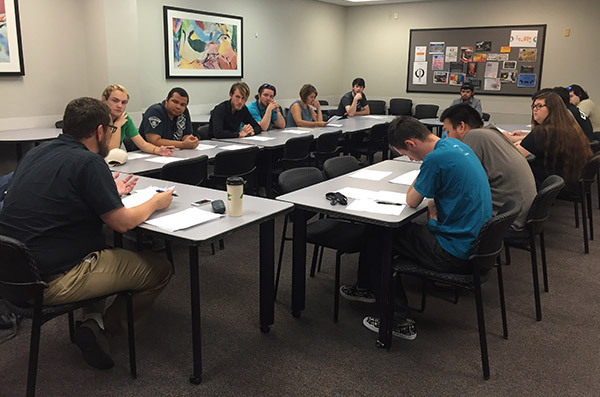 The UAT Game Studios class held a daylong event to close out the Fall semester of game development. During the morning segment team leads handed out awards to hard working students on each team who shined in their role of game development. Student Jesse Rogers gave a short presentation on tips for being successful in UAT Game Studios. One of his biggest takeaways was to get involved in game jams because you think quickly, brainstorm lots of ideas, work under pressure to meet a deadline much like in the real world, figure out your skills, work with new people and in the end have a proof of concept or prototype created. Next, new game pitches were heard for approval, giving game students a chance to present their game idea and what the owner hypothetically would need to create the game. A total of 10 games were pitched to a full theater of game developers. After all of the game concepts were presented, game professors deliberated on which games they thought were feasible with the talent pool at UAT. Sometimes they have to turn a game down because they may not have enough programmers or artists to complete the game within the semester. Professor Lynn Understiller also announced opportunities for internships for game students. 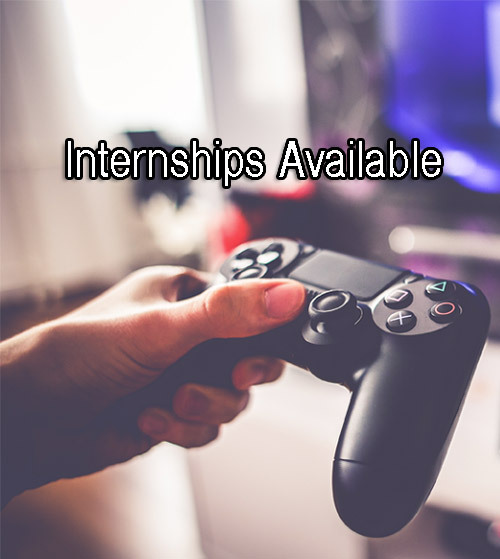 Please see Lynn about the following internships: Facebook HUB for UAT Game developers, UAT Game Studios Website development, The Academy: hosting challenges and support for Game Artists, Game Job Fair: Sign Ups & Rogue Developer Support. In the evening, the Greenlight Celebration welcomed game enthusiasts and the public to acknowledge and demonstrate the games developed in UAT Game Studios over the fall semester. Congratulations to the following UAT Game Studios teams who completed work on their games during the fall semester. We're proud of your hard work and dedication to your games this semester! Did you know that UAT offers a class on the hit zombie apocalypse drama The Walking Dead? Why yes, we do! You can also learn how to bring Virtual Reality products to market right as the industry is blowing up with new opportunities. No matter what you're interested in, UAT has an epic selection of classes that lovers of technology like yourself can get excited about! 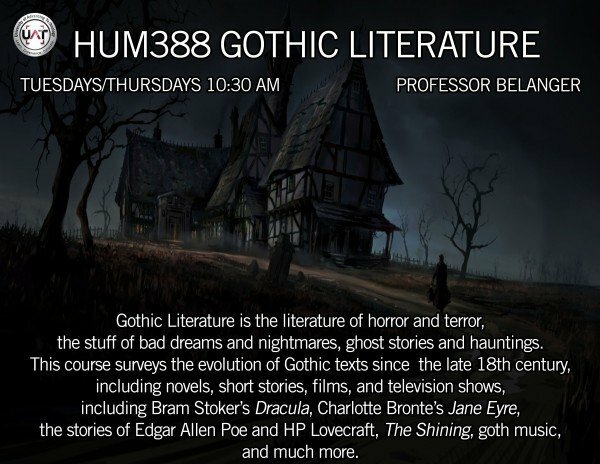 Each semester UAT offers a variety of special topics courses in humanities (HUM388), science (SCI388), social sciences (SS388), and technology (SPT323). Classes are filling up for the Spring 2017 semester. Students can get immersed in technology in so many cool ways with these hot, new courses. Take a look! This course examines the critically acclaimed AMC TV series, “Walking Dead.” To understand the success of the program during its first 5 seasons (2010-2015) and its continued appeal, students will apply various critical lenses including gender, race, ethics, and survival. In addition to viewing key episodes in the series, students will read from literature and online articles. Environmental Perspectives offers a holistic study of sustainability challenges and technologies through the lens of filmmakers as storytellers. This course will present a brief history of environmentalism and the impact of economic, social and environmental issues through sustainability discourse in environmental documentaries and popular culture. This course will provide students a connection to community and society by showing them challenges from places around the world in different sectors as well as allowing them to problem-solve and present their own solutions to some of the world’s most challenging problems. The course will cover topics of energy, waste, food and sustainable agriculture, ocean sustainability, urban design and development, poverty and social well-being and climate change. This course will focus on the major social, political, and cultural developments in the history of the United States. The course will begin with the colonial period and progress through key parts of American history including the American Revolution, the Constitution, Antebellum America, the Civil War and Reconstruction, the Industrial Revolution, the Progressive Era, World War One, the Great Depression, World War Two, the Cold War, the Civil Rights Movement, and the post-Vietnam War era. This course is not about rote memorization but instead focuses on critical thinking to analyze the events of the past and how these events shaped American history. An experimental class on Virtual Reality with the goal of putting works into the marketplace. Innovation will come through market analysis, tinkering, partnerships and rapid prototyping. Games will be the focus, but anything is possible, with market research backing. The goal here is to get students intimately familiar with building quickly and going to market in the new VR space. The ultimate goal will be to get the attention of groups like the VR Fund to acquire resources to grow the UAT VR program and place students right into the industry. Virtual Reality Technology is poised to become one of the hot trends in marketing. This course will examine the role that this burgeoning technology will play in the advertising of the very near future. 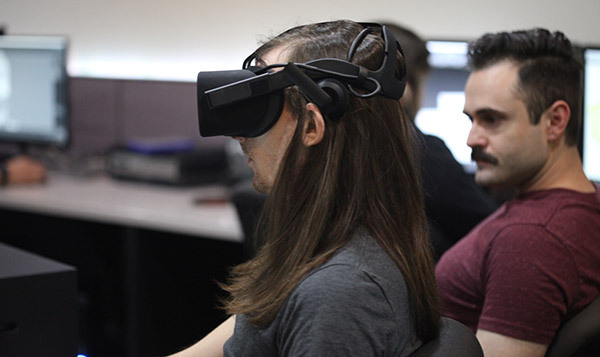 Students will explore how traditional advertising techniques can be adapted to Virtual Reality, and will create VR projects, including a Virtual Reality Tour of the UAT Campus for both PC and mobile-based VR Technologies. So you've made something awesome. Now what? How do you get people to see it, care about it, and share it with their friends? If you've done it right, you thought about these issues before you even started your project. In this course, students will learn how to identify the audience for a project, how to plan a campaign, leverage social media as well as traditional media, develop a marketing plan, and more. Professor Paul DeNigris teaching to Digital Video students. In our ever more connected world, your social media persona is often the first impression others will have of you. How do you put your best digital self forward? This course will help students navigate the major social media sites such as Facebook, Twitter, Instagram, YouTube, and more, as well as give them the tools to create their own websites, blogs, logos, and other elements of their digital identity. Students will experience various aspects of Wearable Technology through an exploration of innovations in style and design. Effective use of design practices will be applied to technology in clothing, ergonomic wearable computers, and technology accessories. Extensive research will be combined with practical applications in the creation of prototypes. 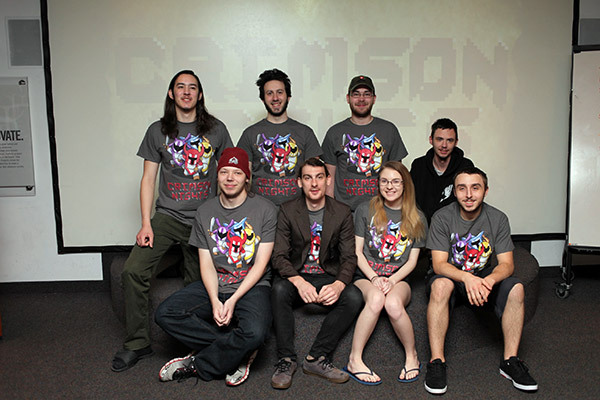 Over the past few semesters, UAT Game Studios students developed a game called Crimson Nights, which is a multiplayer dungeon crawler with a retro arcade feel. 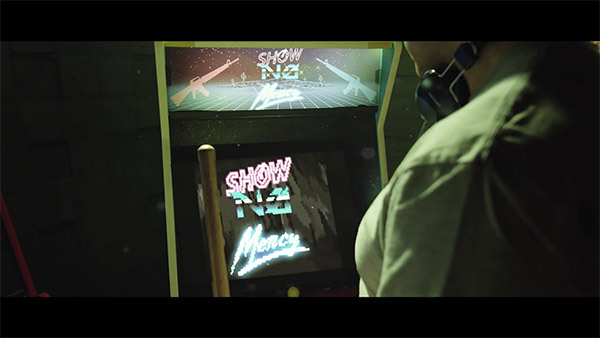 Crimson Nights developers were introduced to a film crew, who were in the process of producing a film called "Show No Mercy" and they wanted to have a video game displayed on the arcade machine in their film. The filmmakers loved Crimson Night's retro arcade style and decided it was perfect for their film. Over a weekend, the development team got to work and sent over some ideas for the film crew. From there, Crimson Nights got their first big break in cinema! Kenny Ryan, Lead Designer, created the character head, weapons and collected all of the parts needed. Terrence Miller, Lead Artist, worked on the title screen art. Jake Turocy, Character Artist, worked on the character body. Zak Kaszubowski, Environment, Decals and Effects Artist, created the props. Kendal Cormany, Programming Management and Mechanics, worked on animations. Jersey Calderwood, Lead Programmer, worked on programming the menus for navigation. See the trailer including Crimson Night's contribution to the film, "Show No Mercy" in the video below. 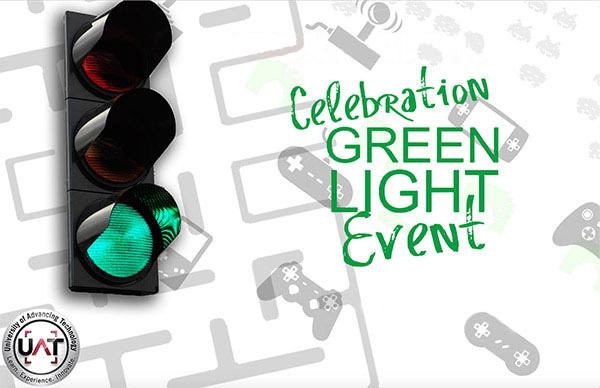 You’re invited to the 2016 Summer Greenlight Celebration, an event for University of Advancing Technology (UAT) to acknowledge the amazing work of its UAT Game Studios students by offering them the opportunity to demonstrate the games they’ve been working on for the last semester to fellow students and to the public. The UAT Game Studios is a multidisciplinary collaboration of students across undergraduate and graduate degrees and on-ground and online programs consisting of mostly game design and game programming students, as well as art and animation majors to form well-rounded game development or game dev teams. When: August 12, 2016, from 6-8 p.m. The event includes team awards and game demos. You can meet the game devs and artists behind the games and remember why you love to play games in the first place – to have fun! Join us in celebrating our teams’ hard work in turning ambitious game concepts into playable realities. Follow @UATGameStudios on Twitter and like UAT Game Studios on Facebook. CrackerJack Games LLC paid a visit to alma matter University of Advancing Technology to hold the first public demo of UnderEarth at an Alumni Video Game Release Party on May 19, 2016. UnderEarth is an immersive, first-person puzzle game available to play on both PC and Oculus Rift, slated to launch sales on Steam in June. The UnderEarth team flew in to Arizona from different states for the essential opportunity to gain real-time reactions and feedback from the active gaming community, what better place to find such a devoted pool of game enthusiasts, but at UAT! Game synopsis: Following Valvorta Corp’s declared emergency mission, the player must simultaneously manage life support systems and locate tools, documents, devices while navigating with magnetic boot attachments to assess what’s happened in the facility and how to repair and rescue. 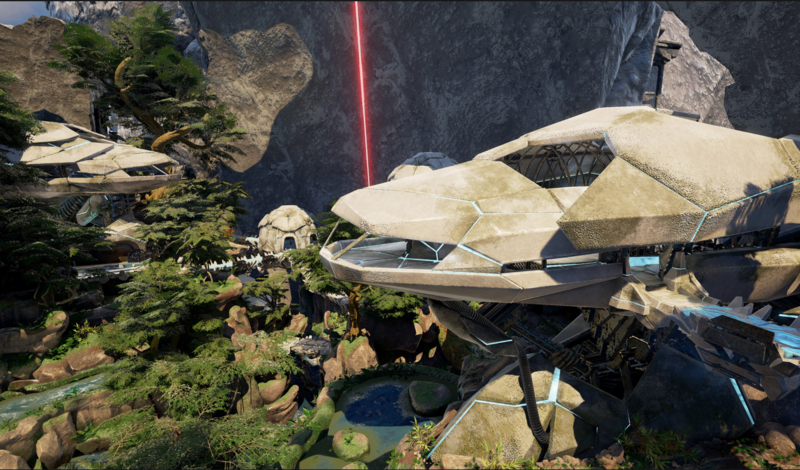 The UnderEarth team members include: Kerrigan Guthrie -- Level Designer, Joseph Marin – Lead Programmer, John Waynick -- Senior Artist, Joseph Wilhems -- Lead Designer and Allison Summers – Artist. The game developers were available for questions and to offer helpful tips so that the eager playtesters could quickly grasp the game’s scope and enjoy the game they worked so hard to develop. Overall, the UnderEarth team heard positive reviews during the live demo commenting on the the brilliant imagery, stimulating environments and overall game challenges that UnderEarth presents to gamers. Did we mention this game is also in VR? Yes! 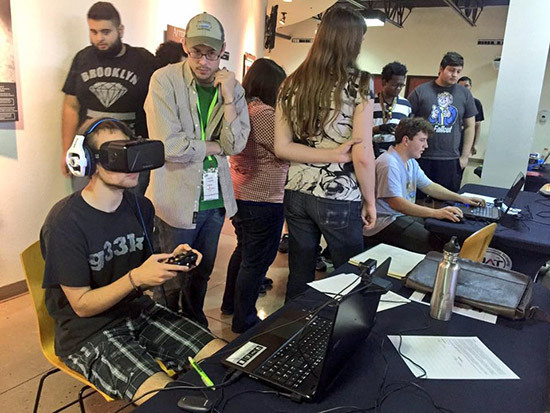 UAT game students jumped at the chance to playtest a new game on Oculus Rift. As it currently stands, UAT Game Studios and alumni have only produced a few games in Virtual Reality so it's a rare find, but with games like Reflections, Wizards 1984 VR and now UnderEarth, our game devs stands to change that! Watch the latest demo of UnderEarth on Steam here. Keep up with UnderEarth's progress on social media! 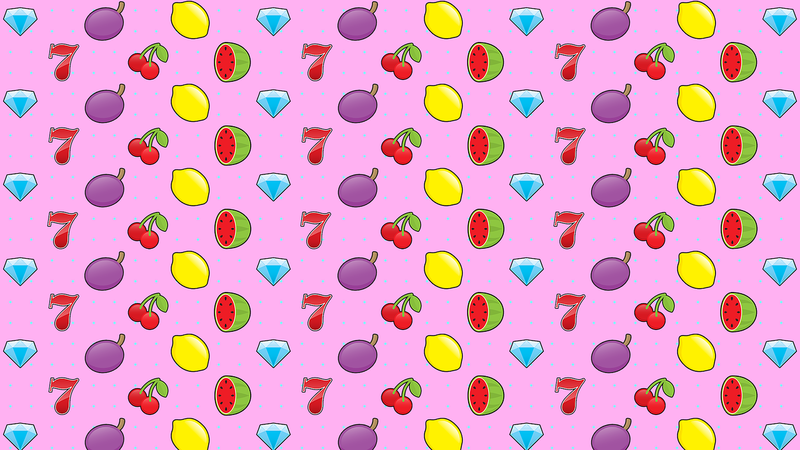 Like CrackerJack Games on Facebook and Twitter. Thanks for coming out to play UnderEarth! The Arizona Video Games Showcase joined Phoenix Comicon last year giving UAT indie game companies a chance to showcase their completed games to the public. 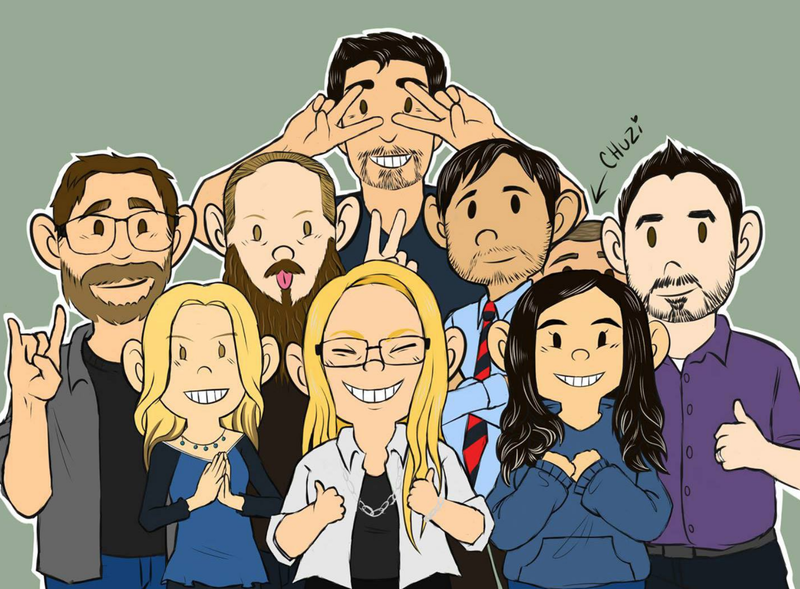 This year, UAT Game Studios Team Leads stepped it up by pitching Phoenix Comicon as panelists; for which they were selected to speak about "Team Leads Perspective on Game Development." Team Lead for Crimson Nights, Kenny Ryan who majors in Game Design has a great deal of knowledge in team collaboration and gameplay design. He plans to mainly discuss entering the game industry and working with others during the Comicon Panel. Let's find out where Multiplayer Dungeon Crawler, Crimson Nights originated according to Team Lead and Lead Designer Kenny Ryan. Crimson Nights started as a concept involving 4 players, a fighting game between the boss and each other. The game was then created as a 48-hour game jam game, and won in three categories. Afterwards it was pitched at Greenlight and successfully became a game under development in the UAT Game Studios program. The idea was to take the original game jam project and evolve it the concept into a full game. There were a lot of things that we, as a team, learned along the way. Crimson Nights development team saw many benefits from being part of UAT Game Studios as they kept pushing us to do great things. The Greenlight process was also huge for us, as it really helped the team focus on its goals. The initial six members of the team are friends and created the game jam game. Following that an additional four team members joined, along with nine more developers who joined along the way. Each team member greatly helped to shape not only the game, but the entire team, as well. 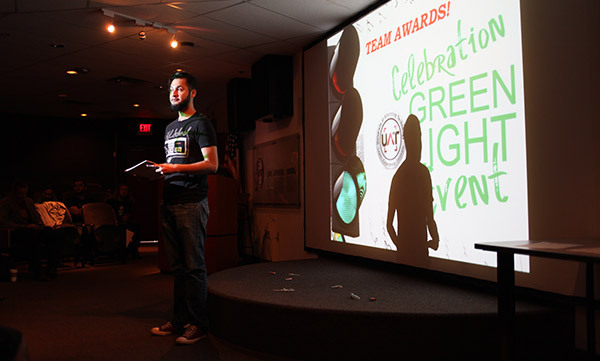 The team originally pitched Greenlight in summer of 2015 and worked in the UAT Game Studios for two semesters. Currently, our team is working on removing the major kinks hidden in the game before we add more content. We are aiming to release our first demo in September 2016. See our current game build in the YouTube video below. 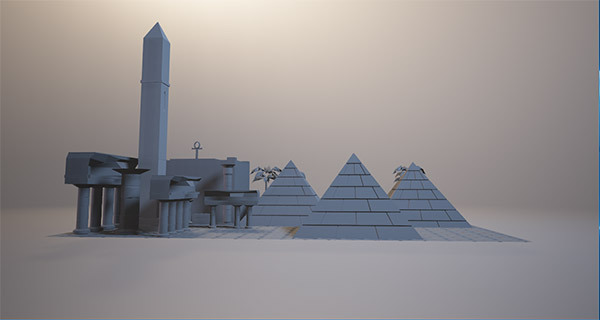 The team has created the midway base for all of the game modes along with all of the main art assets for the game. The project is about 60 percent complete, with programming as a majority of the work remaining. We also are looking further into marketing and social events. My knowledge of the gaming industry has changed a lot as of working on Crimson Nights as it builds the relationship of team work. There is a lot that working on a team creates, and the best part is you can see through so many other people eyes. With what we were creating we had open eyes and minds to what we saw and did. We wanted people to have a say on our team and we chose the best choices for the project. I think that this is definitely a very indie developers approach, and for us it worked out well. 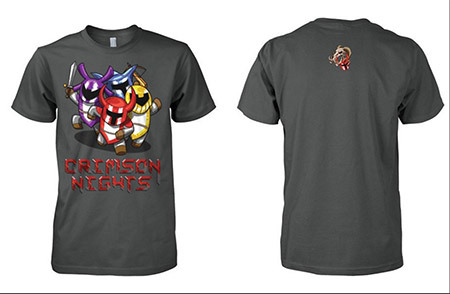 Crimson Nights created their own t-shirt design and sold them to raise money for their team. They also looked great when they all wore their shirts around campus. Way to think like an entrepreneur and look like a team while doing so! As experienced game development team leads within UAT Game Studios, students will discuss the Greenlight process and how they came to lead each respective project. Students will also talk about the process of developing games within the production studio, as well as give insight to the day in the life of a game project lead. 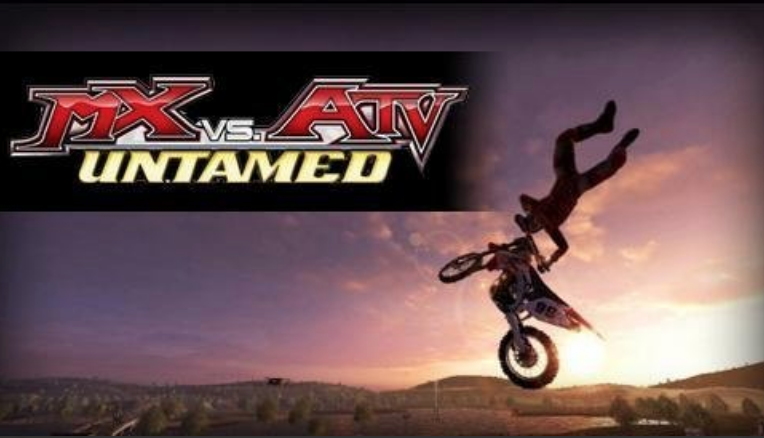 At UAT, game students work with a diverse group of disciplines, including the UAT Digital Video program, and have a unique perspective on the development process. As a group, each game lead has faced unique circumstances and can share numerous insights into the ways those challenges have influenced them as developers. Attend the panel on June 2, from 1-2 p.m., at the Phoenix Convention Center in room West 213A. For more information, click here.